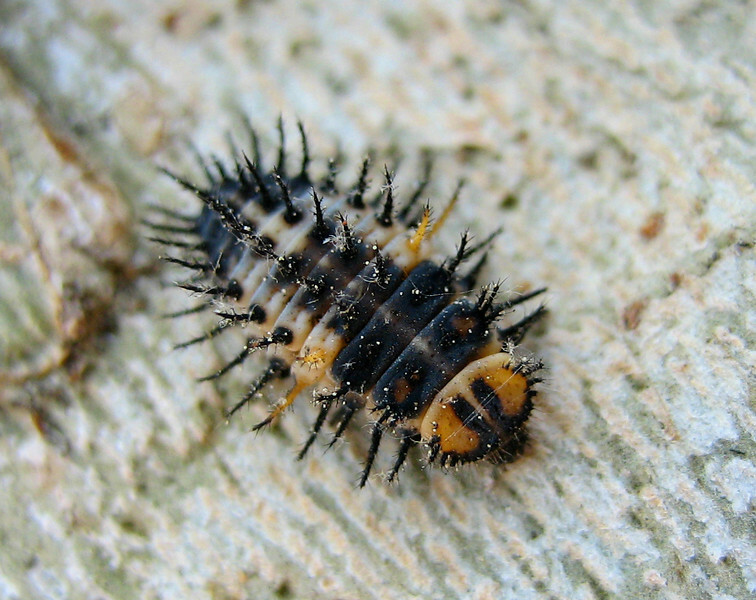 Cool/evil looking caterpillar on a tree at UCLA [edit: looks very similar to ladybug larvae, but not quite... anyone know what it is?]. I think they had just hatched nearby, because there were at least 15 on this tree, but I didn't see them on any other trees. Thank goodness for the SD400's 3 cm focusing distance in macro mode but still, the bug was quite small and I had to crop this image quite a bit.